A new poll of next year's Senate race was released today by Public Policy Polling, a Democrat-affiliated, yet reputable firm. There's good news and bad news. First, the bad news. 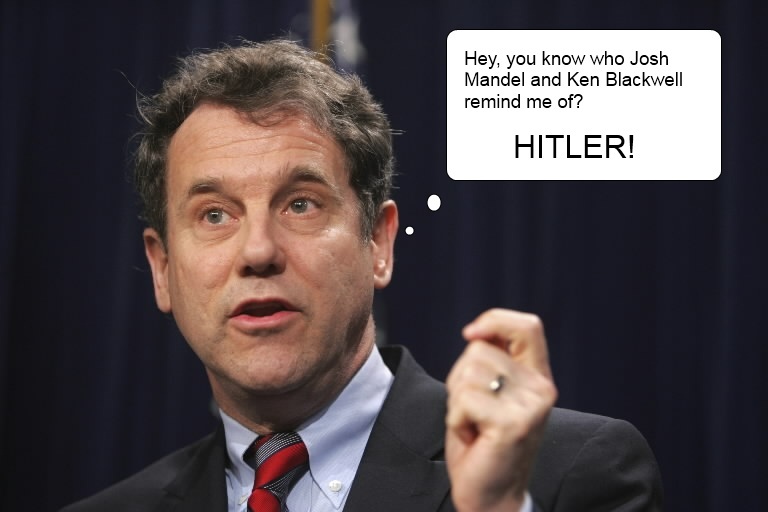 Sherrod Brown's looking more and more like he might have a pretty easy path to reelection. With decent approval numbers and a potential pool of opponents that range from unpopular to obscure, he leads all of the Republicans we tested him against by anywhere from 17 to 21 points. Brown leads Josh Mandel by 17 points at 48-31, Ken Blackwell by 18 points at 51-33, Jim Jordan by 18 points at 49-31, Mary Taylor by 19 points at 50-31, and Kevin Coughlin by 21 points at 51-30. Those numbers are ugly for our side, but there are quite a few other things that indicate that this race is going to be much closer than this poll indicates. First off, Brown is having a hard time breaking 50% support. He fails to do that against Josh Mandel (likely running) and Jim Jordan (likely not). For a six-year statewide incumbent running against challengers with much lower name recognition, that isn't good for him. Even worse for Sherrod is that his approval rating is only 39%. For an incumbent looking to be reelected, you want to be at 50% or more. He's far from it. Second, you ALWAYS need to look at the partisan breakdown of the respondents. In this one, they polled 45% Democrats, 35% Republicans and 20% "Other". A D+10 advantage is crazy in an environment where the Dems lost over 60 seats in the House just 7 months ago. To give a little perspective, in 2008, the actual breakdown was D+8. Does PPP really think the current environment is MORE friendly to the Democrats than the one that swept Barack Obama into office? I think not. Third, lets look at recent history, and how the 2010 Senate race looked at this point. How did the race between Rob Portman and Lee Fisher/Jennifer Brunner look in June 2009, according to the very same pollster, PPP? Fisher and Brunner also lead Portman by nearly identical margins, 41-32 for the Lieutenant Governor and 40-32 for the Secretary of State. All three candidates are doing about equally well within their own parties but since Ohio has more Democrats than Republicans and Brunner and Fisher both lead with independents, it allows them to start out with an overall solid lead. Quinnipiac also showed Portman losing big around the same time frame, according to two separate polls they did in the Spring of 2009, (here and here). All of this tells us, first and foremost, it's wayyy to early to be making statements like "Brown might have an easy path to reelection". And the gap we have to close is certainly not as large as PPP says it is. Make no mistake, Sherrod Brown is a shrewd politician. Most of us know he is the most liberal, tax-loving, anti-business member of the Senate. But he's done a very good job of crafting his image of someone more populist and mainstream. And this brings me to one more reason I believe this race will be close, and we have a shot at beating him. He now has a record that will be exposed statewide. And our side will be certain to educate Ohio voters about how far left Sherrod Brown really is. I've written before that Brown is a top target of the National Republican Senatorial Committee and the Senate Conservatives Fund. Both organizations will pour a LOT of money into this race and show voters statewide what Brown's record is. 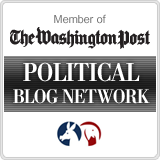 The NRSC would not pour resources into a race they thought they were going to lose by double digits. Indeed, they had this to say just today. Before the Senate, Brown was a Congressman in a very blue district. Then, he was elected to the Senate in the Democrat wave in 2006. This time, he will have neither of those advantages. Don't let this poll fool you. Nate Silver at FiveThirtyEight says that an incumbent polling this early with Brown's numbers have won 65% of the time. Most incumbents aren't polling above 50% a year out before the election. The fact that Brown is within the margin of error to 50% shows him to be favored for re-election. Second, you can't compare an open seat (Portman/Fisher) to an incumbent race like (Brown/Blackwell). Totally different dynamic. Hard time breaking 50%? He does it two out of four matchups... And in the other two, he's within the margins of breaking 50%. Most incumbents would feel comfortable with that polling. Ask anyone. That's why most of the forecasters show the U.S. Senate race in Ohio "Leans Democratic" next year. In case you forget, there's over a million more registered Democrats than Republicans in Ohio. In fact, it may be 2 million. The only thing you got right is a lot can change in a year, but right now, the political trends seem to pointing to a strong Brown re-election than otherwise. I could pull you quotes from dozens of races in a cycle where the parties claimed they were competitive when they really weren't. One thing that helps Brown is the utter weakness of the '12 GOP Prez. field. This race has a LOOONG way to go to be a tossup.